In the ever-changing world of country music, Mark Chesnutt is an artist who has stayed true to his roots. With a love of classic country that dates back to his early years, Chesnutt’s commitment to preserving a traditional sound has earned him countless awards and record sales over the last three decades. With Summer 2016 comes the release of a new album from Mark Chesnutt. The aptly titled "Tradition Lives" consists of 12 songs that, although brand new, still possess the classic quality Chesnutt fans have come to expect from his music. Tradition Lives – his first disc of all-new material since 2010 – was produced by Jimmy Ritchey, someone that Chesnutt says is a crucial part of his sound, having worked with him for years. "He and I hooked up at a time when not a lot of people had a lot of faith in me anymore because I stayed ‘country’ when the industry was going the other way. I needed somebody like Jimmy who really believed in my kind of country music." 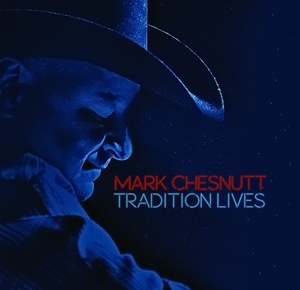 "Tradition Lives" includes twelve new Chesnutt tracks, each with the pure honky-tonk sounds that have helped to make him one of the most revered and respected artists in the business.